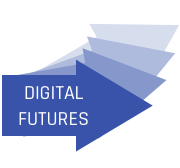 Our Digital Futures programme specifically targets organisations already at leading the way in digital. With this programme we go further than scoring you within your category to push beyond it, taking influence from other sectors and examples from the bleeding edge of digital. We provide you with regular insights on new global executions, the latest consumer data and tech advances. We conduct a quarterly workshop and tailored report for your brand(s).